I saw the tweet too but it was deleted soon after. I think the most likely scenario is that kids didn't want to make it public yet, or that at least one of them backed out of the commitment, we'll probably never find out haha. Huh? I can still see the Renner tweet, but didn't see any public commitments today. When i saw it i tried to type a reply and it wouldn't let me send it because it was supposedly a deleted tweet, but you are right i can see it now too. Well the suspense is real and so is the excitement haha. One of them appears to be WR Zahir Turner from Booker T. Washington HS. The other? 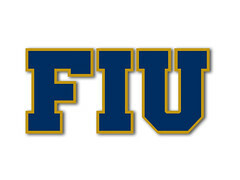 DL coach Kenny Holmes tweeted a couple of hours ago that this is "an amazing day" for FIU Football. Could the other one be a DL? That tweet by coach Holmes was retweeted by John Bolding lll and his mother, could it possibly be Tayland Humphrey (not sure i spelled it right) but you know who im talking about, the other sauce brother. Also, I'm guessing the second one today was a DB since coach Thatch was tagged in the tweet. Yes, that's exactly my deduction from that post, the other one could be a DB. idk why i get the feeling that the other silent commitment is Tayland Humphrey. I guess we'll find out, or not haha. btw i know we did this last year and got burned on National Signing Day, but 247 sports has a crystal ball prediction that he lands on FIU, it's super early to be looking at predictions but he'd be an awesome get for our program. I don't know, but there's a possibility that one of the two that were mentioned earlier wasn't a 2018 commitment per se, but when the FIU administration officially accepted Joshua Little to FIU. He is a Defensive Lineman who would (I'm almost sure) be ready to join the team immediately for this coming 2017 season. The other one, as we know, was local WR Zahir Turner. Possibly. Although Renner's tweet a few days ago about the Zahir Turner + 1 commitments specifically referred to the class of 2018. So I still think there is a commitment out there we do not know about. Steen has offers from Purdue, Mississippi State, Illinois, Pitt, Cincinnati, Columbia, East Carolina, Army, Memphis, and FAU. FIU being his leader with all these offers is pretty encouraging. There's a December signing period now. It's up to FIU to get them to sign and not hold out and seek "bigger" offers come January/February. Donovan Georges, a 6'1/238 ILB from Champagnat Catholic HS in Miami, lists Pitt, USF, Colorado State, and FIU among his 4 schools he will visit, according to an interview with Scout.com. Georges was a former Georgia commit, and reportedly has had offers from Alabama, LSU, Georgia, Louisville, Miami, Michigan State, West Virginia, Indiana, Pitt, Syracuse, Temple, and Colorado State. Impressive list of schools that reportedly has offered him, a consensus 3-Stars player.